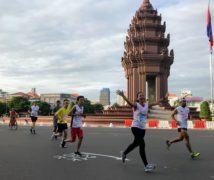 Going through highs and lows in life, Chanphal Sok (Khmer blog) found himself moving from place to place with his mother as a child to find enough to support themselves. 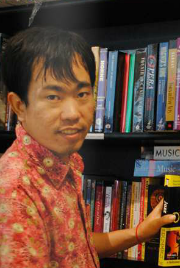 Writing about his tough life in his Khmer blog between Kampong Cham province and Kratie province, Chanphal has used his blog to write mostly about literature, short stories, short novels as well as Khmer history in Khmer language. Sometimes, he uses Khmer self-effacing humor to write about his personal life. In 2009, he won the third prize of the Nou Hach Literary awards for his 10-page short story ‘Kaboub Luy’ or “Wallet”. A graduate in English literature, although more popularly known as a song writer for many of the most famous contemporary Khmer songs, the 28-year-old song writer and prolific blogger presently works for Hang Meas production, one of the most popular music production companies in Cambodia. “Life is a trade off. After writing my life story in this blog, I’ve found that I’ve walked so far. Life is a journey, and although it is not an eternity, it is long enough to live a proper life from now on,” he said. 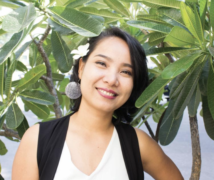 Global Voices writer Kounila Keo has the opportunity to email-interview Chanphal. 1. I think you have some connection wth Nou Hach literary award. How many other awards have you got? What do you think of the current situation of writers in Cambodia? Writing comes natural to me. I love writing, and this talent doesn’t come to me that easy, as I have to keep polishing it all the time. Since I’ve found that I can write, I start putting it into work. Ever since, I’ve got a lot of support from audiences who listen to songs I write. I had tried many times for Nou Hach Literary award, but finally I got a third place award for my short story: Wallet, in 2009, but several other awards were just certificates of excellence. I think that very few people in Cambodia are interested in writing novels but there are more journalists than novel or story writers. If you ask me to count names of Khmer novel writers, it is very hard to do so. Unfortunately, Khmer people don’t read a lot; therefore, not many people are interested in writing. Compared to neighbouring countries, Cambodia doesn’t produce a lot of locally-made books or movies, and even our cinemas are quite quiet. 2. I’ve seen that you’ve used Facebook and some other online platforms to publish your work? What do you think about the online world today for a professional like you? Even though I haven’t been able to earn a dime from publishing my stories on Facebookor some online platforms like issuu.com, I am however happy when I get support from Khmer readers. This is what I write for. For my audiences. So far I’ve met a lot of Khmer readers online, and I am delighted to be able to share much stuff with them on the Internet. 3. What do you think of the printing cost of paper books in Cambodia? Do you think the online platform such as blog (wordpress/blogspot) and Issuu are useful for writers here? Yes of course. From the past until now, I’ve published several books which don’t cost a lot, but it was hard to sell them. The distribution among small book stores did not work, so those who wanted to buy them also found difficulty to do so. Eventually, I lost a lot of money in the printing. When I publish my stories on the Internet, I don’t need to spend a single dollar on it, though I don’t earn anything from it either. 4. Do you think the internet will soon become an important source for writers like you to publish your work? I’ve always wanted to be a writer since I was little. Growing up, I just want to share my thoughts with the rest of the world, so the online platform is the best choice for me to publish any story. It comes to a point where you don’t need to be a professional writer to publish your stories. The Internet provides a very easy means to publish your articles, stories or novels and get a lot of following. More and more Cambodian people are becoming online, so this is a positive sign for the growth of online readership. When we didn’t have the Internet in the past, we had to go and beg the printing company to publish our books, but now the Internet can replace the printing industry in some ways. Nowadays, everyone just wants to write and share. Nonetheless, I still love “paper” books, yet it is just that our country doesn’t have a lot of book readers. Some people who try to publish books fail a lot, but if I have a lot of money, I will try to publish books and put them at some book stores. We need to strike a balance. 5. Would you like to recommend this to other writers? I’ve used the Internet for several years now, and I don’t mean to say that publishing books isn’t recommended. I would like to recommend that writers now start thinking about publishing their works online if they don’t have money to pay for the printing cost. When I first used WordPress, I published my stories on the blog right away. With that said, I still strongly love paper books because they are like souvenirs which I can put in my book shelf, on the bed shelf. They are different from e-books which come in millions, easy to download and read – modern and tiny in size, but they don’t have a sentimental value like books.